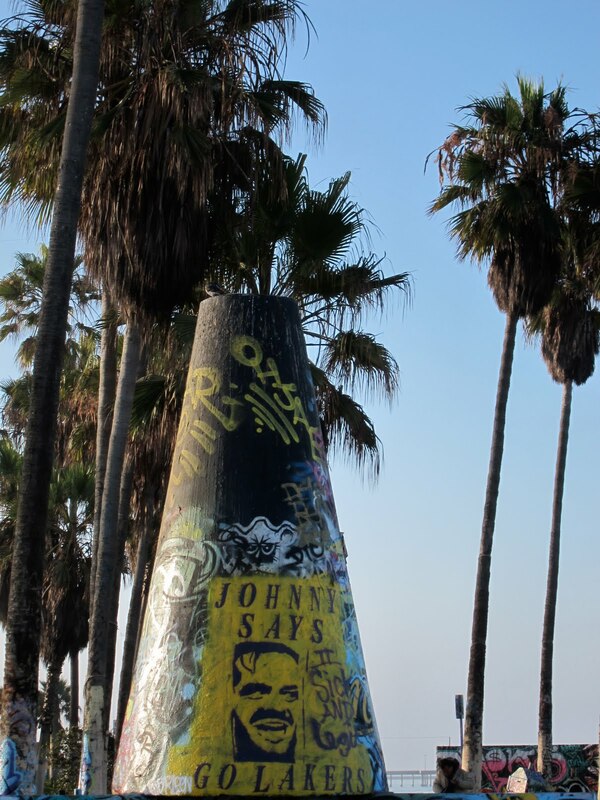 Photo taken in Venice Beach, CA. There’s Jack Nicholson, easily the most identifiable of Lakers fans. It’s the off-season for basketball, but I happened to catch some of “The Shining” on TV a few weeks again, when AMC ran movies with “mad men” prior to the season premiere of “Mad Men.” Nicholson made an appearance in two of the films: “The Shining” and “One Flew Over the Cuckoo’s Nest” (the other flick: “Michael Clayton”). Good madness.